An earthquake that jolted the Greek island of Crete was felt in Israel on Wednesday, with no reports of injuries or damage. 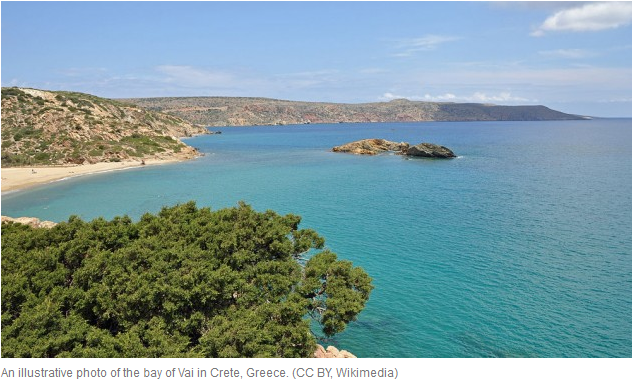 The Athens Geodynamic Institute said the undersea quake, 5.4 on the Richter scale, occurred at 8:50 p.m. (1850 GMT) Wednesday east of Crete, 35 kilometers (22 miles) from the island town of Sitia. Earthquakes are common in Italy, Greece and neighboring Turkey with aftershocks often fet in Israel. Last month, two minor earthquakes struck Israel. The first, on December 2, registering a magnitude of just 3.8 on the Richter scale, struck in the north, with the epicenter some five kilometers north of the Sea of Galilee, near the city of Tiberias, the Geological Survey of Israel said. No damage or injuries were reported.